Scalp Micro Pigmentation Services - SMP shaved effect and hair line restoration, SMP density treatment for thinning hair, SMP scars camouflage for scars, SMP for Alopecia. 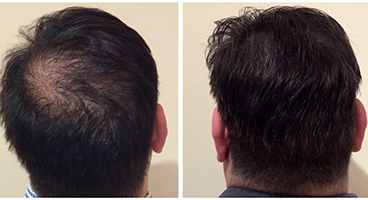 Scalp micropigmentation is new, modern and relatively painless solution to hair loss. This highly-specialized process uses scalp aesthetics to create an appearance of thicker hair for pattern baldness, alopecia or hair that is thinning. Trained permanent makeup artists insert organic pigments into top layer of the skin of the scalp with micro-needles to make hair look thicker. The process is inexpensive compared to hair transplants and lasts many years. Customized hairline restoration lets you create the look you want, from youthful to mature. Unlike hair transplants, micropigmentation does not involve surgery or medication. Our scalp micropigmentation artists can help you achieve a younger look in just a few sessions. If you prefer a shaved effect, our procedure gives a clean, fresh look that requires no care or maintenance. The process creates the look of a close-shaven head of hair. Pigment is inserted between hair-producing follicles, following the hair’s natural growth patterns. Adding a customized hairline that complements your facial features creates an attractive appearance that boosts self-confidence. 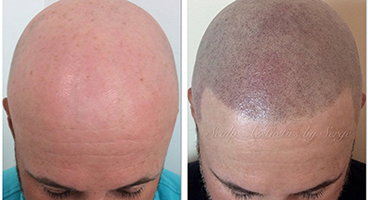 Scalp micropigmentation density treatment fills in bald spots or areas where hair is thin. Instead of costly hair transplants that leave scars and involve surgery, the insertion of pigments interspersed with existing hair gives an illusion of thick hair. Density treatment adds between 500 and 1,000 microdots per square inch to cover exposed areas of the scalp. Our experienced permanent makeup aestheticians use several colors of pigment for a natural look. Using several pigments lowers the contrast between hair color and skin color to give the illusion of a full head of hair. The pigment fades slightly over time, changing to more muted colors in tune with changes in hair color as you age. Pigments can be refreshed after three to six years. If you have scars on your scalp from injuries, surgery or hair transplants, scars camouflage treatment will make the scar virtually invisible. Scar camouflage treatment evens out skin tones and fills in bare spaces in the scalp to give the effect of natural hair. Unsightly scar lines disappear. Because each scar has its own characteristics, a custom approach using scalp aesthetics by an experienced technician is required. Some scars protrude, some are indented and some are irregular in shape. Our technique covers all types of scars, including those from previous hair transplants or scalp reductions. Each person’s characteristics and needs are unique. Our customized treatments result in a look of natural, thick hair. To find out how our certified aestheticians can help you regain your self-confidence and enhance your appearance, call (678) 818-6001 for a consultation. Deposit required at the time of booking. Deposit amount will be determine at the time of the consultation. A five days cancellation notice is required to cancell or reschedule your appointment. If you fail to give us 5 days notice (Sunday and Monday are not included), you will loose your deposit. An additional deposit will be required to make a new appointment. 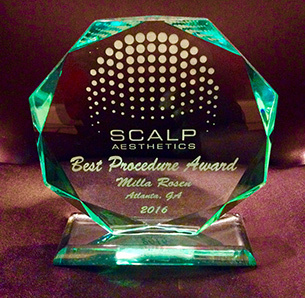 Our firm, Atlanta Scalp Micro Pigmentation, is proud to have both Milla Rosen and Serge Bolan on the staff. These talented, accredited permanent makeup artists lead our team of professional aestheticians, the largest in the southeastern U.S. Our team has extensive professional training, credentials, Awards to undertake all types of scalp micropigmentation procedures. 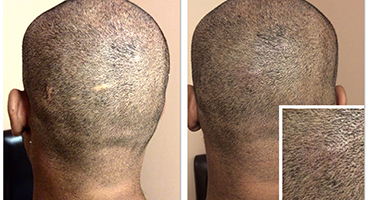 Our staff has performed more procedures than any other scalp micropigmentation company in Atlanta. You can be assured that you are in the right hands with our experienced aestheticians. 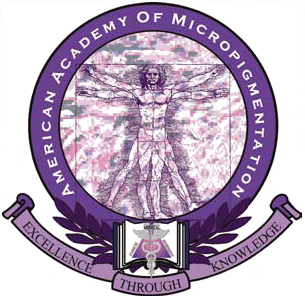 Milla is accredited by the American Academy of Micropigmentation, the industry leader in permanent makeup techniques. Milla studies the shape of your head, bone structure, face, skin tone and hair growth patterns to create a hairline that complements your features. Milla’s experience in micropigmentation and sensitivity to each client’s unique characteristics result in a natural look of soft hair.